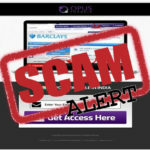 PrizmTech is currently taking over the binary options field in the scam category. Yes, this is a scam software that is perfectly created to manipulate people with the highly advanced professional looking approach. Initially, when you face the official site of PrizmTech, you will be simply blown away by its professional looking attractive website design and contribution. 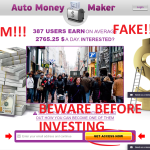 This is a perfect software that has the potential to fool people around and is a very dangerous scam. If you have already come across this software, it is very much possible that you might have already impressed by the site. And, if you are not yet familiar with the site overview, you may have a totally different taste by reading our review and simply looking at their website. Nevertheless, it is very much necessary to analyze any trading software before you convince to put your hard-earned money on them. Let us help you to protect your honey from those scammy sites and we strongly suggest you to read this in-depth review precisely. PrizmTech Review – Is It Worth Taking Risks? We must admit that, Prizm is something very unique. It is certainly one of its kind. Finding out the scam element from this system was really hard. However, we have done a satisfactory job and come up to the conclusion that this awesome looking software is a definite scam. 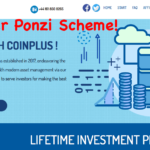 Now, there arises the most important question, “What made us think that PrizmTech is a scam?” Feeding your curiosity, we intend to elaborate our claims with some proper evidence to be precise. Richard Squire – Creator of Prizm? Well, we assumed, starting from the alleged creator of PrizmTech would be better. 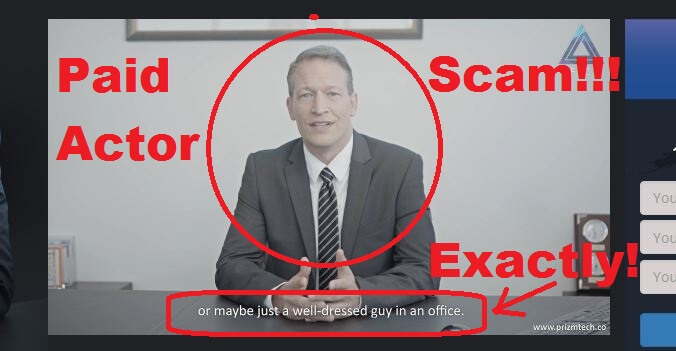 In the presentation video of PrizmTech, the man who introduced himself as Richard Squire and creator of this software seemed to be very polite and comprehensive with his claims. Looks pretty professional. He has claimed that his system was firstly introduced to the global market in the year of 2007. At that time, he experienced legal threats by many big financial houses. Which means his software and he must have been in the top news headlines. Well, in that case, we can get through an easy trick to find out the truth. As you know, Google is the biggest platform where you can find the ocean of info from every corner of the world. We have tried searching for Richard Squire and anything related to him. Unfortunately, there was nothing at all in the search result concerning Richard Squire and anything regarding his profession. This is very unearthly. A personality like him should be at least somewhere in the news. In the Google page however, a totaly different person is caught with that name and he is professor wwho teaches Law at Fordham University School of Law New York. So, we walked a little further to find his existence. Social media is the biggest trend in this era of dot com. Every single individual who has a basic knowledge of surfing nternet has one or other social media account. So, we made a little effort to search his bio or anything concerneing about him in the biggest social media platform known, the Facebook. Regrettably, even in the facebook there is no sign of him. There were fellow people found with the name Richard Squire in the Facebook, but no individual with face as seen in the PrizmTech. This is definitely not a good sign rather than a big red flag on the way. We simply can’t trust someone just because his professional eppearence and some realistic claims unless we have a proper evidence of his true identity. The promo video of PrizmTech started with the testimonial clips. The satisfied users of this software have made their own opinions about the system. They also shared their early badtime stories. All of them looks very promising and honest speaking. We have tried searching their faces in the fiverr.com, but found no one of them there. Certainly a good thing. And then, we navigated to other testimonial section located at the website homepage of PrizmTech just below the atteched video section. Well, they seemed to be professionals too. All of them has made their porfile bio in short right below their comments. So, we were very curious to know more about them. Meanwhile, we picked one of the personalities shown in the testimonial section and our pick is Dawn Folsom, Editor, Daily Investor. We did not know anything about Dawn Folsom. Neither we knew what is Daily Investor is all about. By its name, it sounds like some kind of news paper or Magazine that covers financial related topics. So, definitely finding out is the hatch. Fisrtly, we tried searching for the Daily Investor all over the World Wide Web. Unfortunately, Google itself failed to provide a single info regarding Daily Investor. This indicates that there is no such news hub with the name Daily Invesstor, and the company name is a fabricated one. It’s time to find out the truth of Dawn Folsom, the so-called editor of the fake Daily Investor and user of the PrizmTech. To be honest, by then we started suspecting in everything about PrizmTech software. However, a solid confirmation was highly required. So, we went through the same procedure to check if anything can be found related to the person named Dawn Folsom and her existance in real world. As expected, we have found nothing about Dawn Folsom over the internet. So, all the factors examined and analuzed till now point towards only one thing, and that is scam. A technologically highly advanced scam software. Verdict – PrizmTech seems to be a scam. 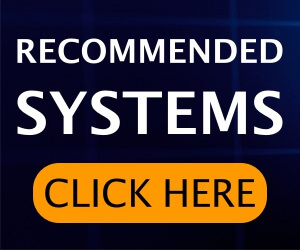 Recommended Action: Wait for some user reviews for now or Join trusted software which is working for every trader currently with an exceptionally high ITM Rate of 85%. We admit that software is developed by some well experienced developers. The scammers behind thiis scam software are also pretty great in what they do. Thus, it has been very difficult to figure out the scam attempts by the PrizmTech Team. 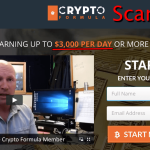 Hence, all the factors we have discussed throughout this honest review are enough to prove that the PrizmTech is filled with fake promises and just like the other scam software they were critisizing of. So, you are not just suggested but warned, think and scrutinize carefully about the factors we have mentioned before taking any steptowards the deceptive system. Muzzle Trading Software – Can We Trust it, or Scam? 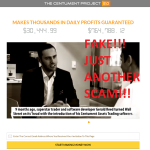 Centument Project 2 Review: Just Another Dirty Scam! CoinPlus Review – Money Making Opportunity Or Another Scam? thank you for your arlet nearly put money is 23 trader also a scam? We’ve not heard about that auto-trader yet.